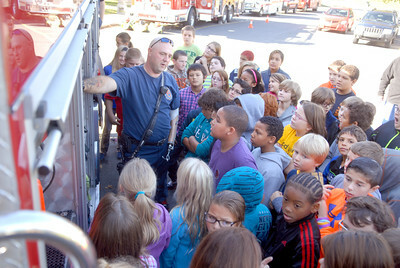 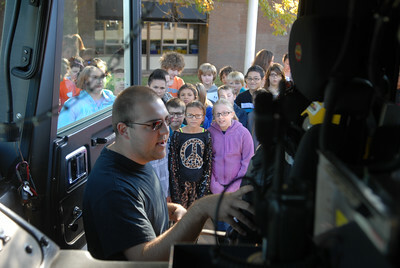 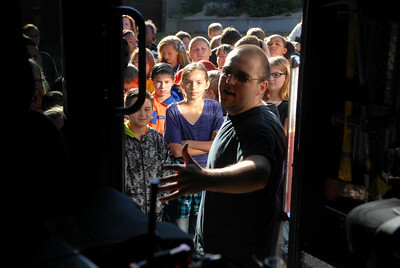 Milton Fire Department fire fighter Ryan Sheets gives a tour of a fire truck on Thursday at the Milton Elementary School for fire prevention week. 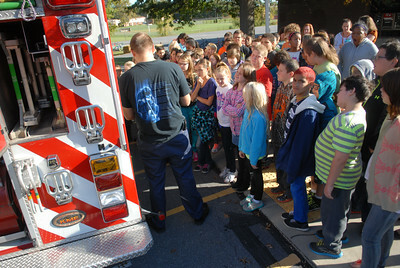 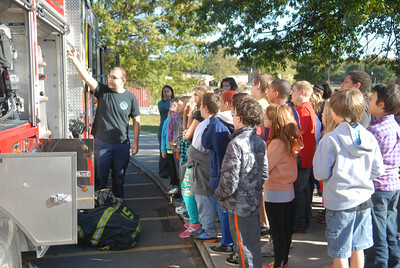 Milton Fire Department Lt. Larry Sheets talks with a group of fifth grade students at the Milton Elementary School on Thursday during fire prevention week. 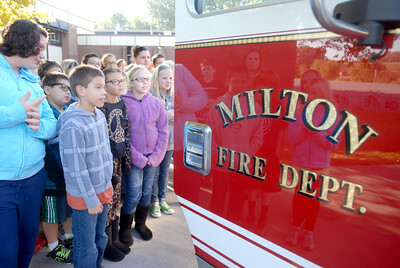 Milton fifth grade students Chase Kiezer, left, Goldie Young, Ludrica Crawford, and Ella Swartzentruber, look at a Milton Fire Department truck outside the Milton Elementary School for fire prevention week on Thursday.